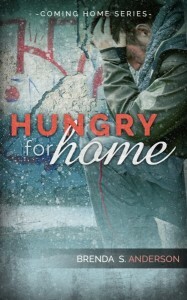 Hungry For Home by Brenda Anderson is the third and final book in the Coming Home series. It can also be read as a stand-alone. It was a cracking end to the series, and a very compulsive read. I felt like I was saying goodbye to dear friends as opposed to finishing a novel. Brenda Anderson clearly demonstrates her passion for some of today’s teenager’s problems. The novel deals with the themes of teenage homelessness which may lead to crime for desperate and hungry youngsters. As well as teenage pregnancy and the resulting pressures and problems that are associated with that. She opens the eyes of the reader to these needs in society which pricks ones conscience as the reader wonders what they can do to help. 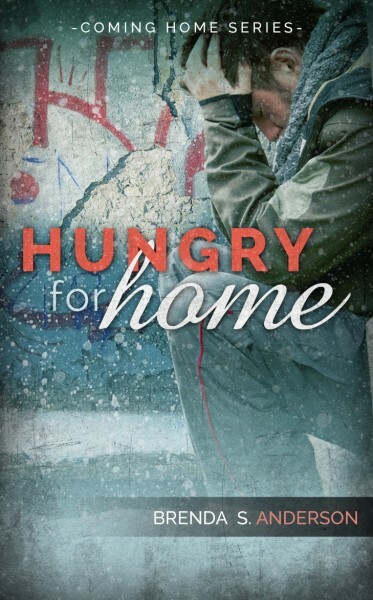 Hungry For Home also deals with the theme of families. Some people are fortunate to be born into a loving family, others are not. Various problems may exist within blood families, but a family does not have to be made up of blood relatives. A family can be made up of people who love each other, care for each other, and who open up their homes and their hearts to others. Brenda Anderson shows families within the novel reaching out and offering grace to people who at first glance may seem undeserving. Within God’s family we are all offered grace, and as members of God’s family we are to never judge one another but we must dispense love and grace at all times. No-one is more or less deserving than anyone else. We are all equal. Linked to the theme of family is the theme of searching for a home and a place to belong. Living in a house with other people is not what constitutes a home. A home is the place where one feels loved, and it does not matter whether that is a hovel or a mansion. I love the fact that within the novel, characters pray before making decisions. They put God first, and do life in conjunction with Him. For anyone who has read the previous novels, it is a real treat to watch the characters progress in their faith journey. Brenda Anderson’s characters are very realistic and likeable. Her portrayal of toddler Matthew is absolutely delightful. If you have never read a novel by Brenda Anderson, then you are missing out. I cannot get enough of her novels, and I am certainly hoping that there will be plenty more in the pipeline.